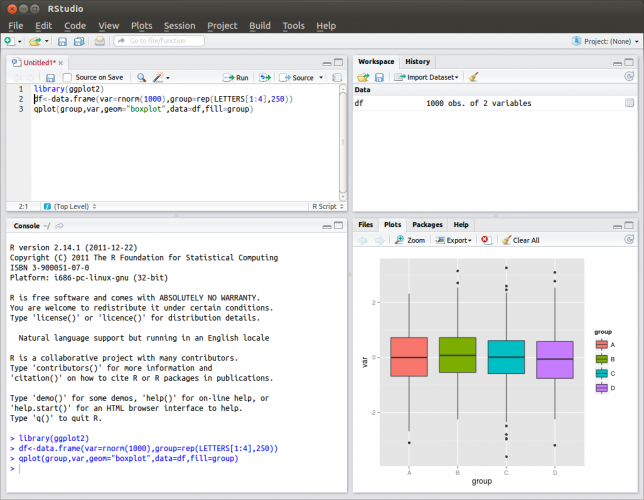 How to write a good statistical report for free (and make your boss happy). During last years I was working in a multinational company in a position between logistic/warehouse support and IT, so data data data and more data to analyze and covert in useful KPIs/charts. In the same time I was following the Coursera Data Science specialization course, 9 modules long specialization full of useful information about statistics, Data Science, Machine Learning and more, created by Johns Hopkins University. 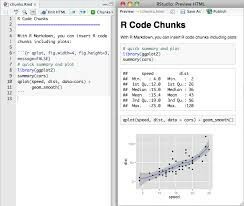 I always was curious about R language and in this course I used in deep with the help of the R Studio environment. This document wants to be a fast tutorial on what you need to implement the platform and be productive in hours/days and it’s based on my personal experience, if you have some suggestions please write a comment! If you can access a shared folder it will be useful for easily share scripts and results. In order to develop a complex report and make it work I used this steps. R can easily manage all this and mutch more with the libraries provided by the CRAN archive. save all the dataset in the folder “data”, this will allow the report to charge data from a common place. The output has to be one file only and if needed images can be extracted, we can use the Knitr package to generate some HTML reports. The report is a document made by some text in markdown format and some pieces of code (called Chunks) that allow printing formatted data, tables, charts etc. Rmarkdown allows us to pass some arguments to the report (eg. use the same report for visualize warehouse movement between two dates passed as an argument). When the script is ready we usually want to execute it automatically in order to generate our report and save in a shared folder. Maybe we can iterate the same approach on last 7 days document in order to update all the documents in a single shot, for make it we can use the following code. We will need only to call rscript with this script as argument in cron for automagically have our report (maybe one hour before we reach workplace :))and make your boss very happy and your life easier!